The history of candles is fascinating! The candle was invented in the middle of the 19th century, unlike its ancestor the taper, which dates back to at least 3000 BC. Its main function is to illuminate. The candle is also an old unit of measure that was replaced by the candela. (The Candela is a unit of measurement used to represent a quantity of lighting, in other words a luminous intensity). 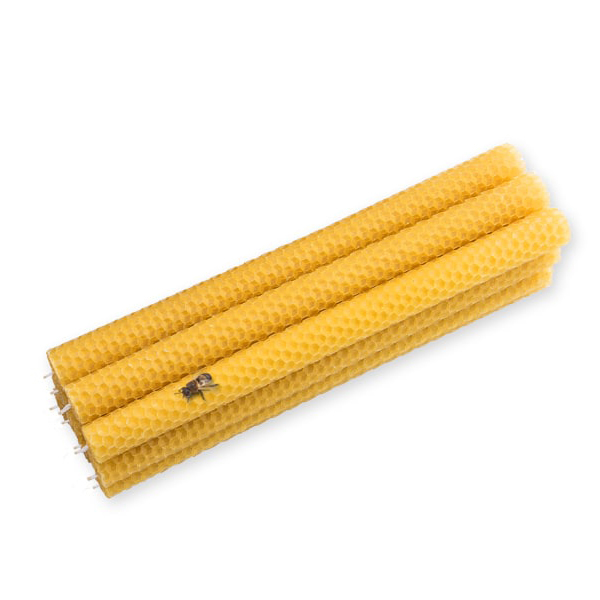 In term of terminology the name “candle” is reserved for an instrument made exclusively of beeswax. The candles, naturally yellow in color, can also be white if the wax which constitutes them was bleached by a sun exposure of several days, even weeks. White candles cost even more than yellow ones, and they are almost exclusively used in royal palaces. The word “candle” is therefore reserved for instruments made of tallow. For centuries split rush was used to make candles. Dipped in animal or vegetable fat the string was set to harden for a while. Then it was used by burning it in burners. 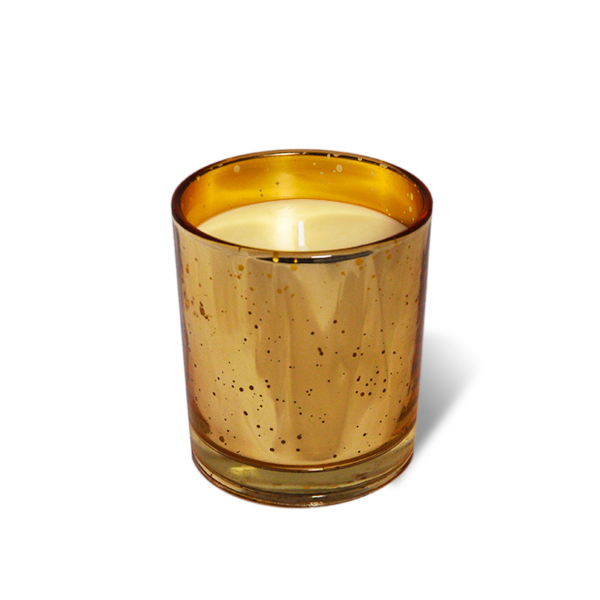 The first step in making a taper or candle is the preparation of the wick according to the caliber and use. The wicks are then placed on a carousel of several trays each supporting several dozens of candles. The wicks are soaked in a tray of wax and allowed to thicken while preparing more trays. The process is repeated until the desired size is obtained. The traditional candles take half an hour whereas for the paschal candles it takes up to a full day. The conical shape happens on its own due to gravity. In the West, since the Middle Ages the candle competes with the oil lamp. The latter has the disadvantage of requiring constant attention: it must be regularly filled, the blackening wick needs to be cut and pulled up, while cleaning any oil spills. The candle, which consists only of a wick surrounded by beef or sheep tallow, is more practical without being excessively expensive (but it is taxed and the oil remains more economical). No more liquid that spills, flames to adjust, oil to top up. But tallows flows and greases fingers, the flame remains yellow and smoky, and it is necessary to maintain the wick as it chars. The nobility and the clergy used beeswax candles while the people to make do with tallow lighting. The candle of beeswax preserves the benefits of the candle and eliminate the defects but only the high society could afford them because of their cost. The apprenticeship for making candles took six years. Anyone arriving in Paris who wanted to enter the trade had to prove that he had done these six years. The master candlemakers formed a corporation in various cities: the one of London was important. The one of Paris went back to King Philippe I’s first statutes. Recorded by Etienne Boileau, they were re-established in 1392 and 1464. 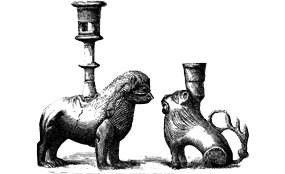 In 1428, wax candlesticks had special status. In the seventeenth century, they united in a single corporation with oil millers and mustard makers. 12 candlesticks then followed the King’s Court. The manufacture and selling of candles was the subject of scrupulous scrutiny by the four jurors of the profession. 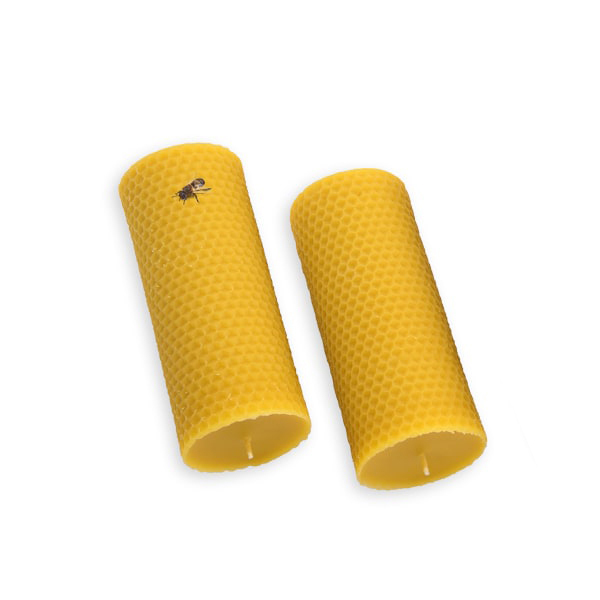 The beeswax candles were much more famous than the tallow candles: they lit up better, burned more slowly and did not smell bad. In 1372 the Prévôt Hugues Aubriot extended the tasks of the Juries to the inspection of tallow “which in fact or could make candles”, motivating them by an interest in fines. 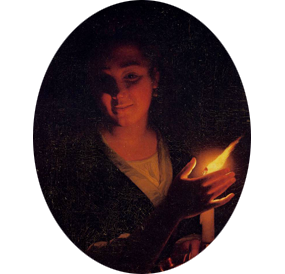 The main deception in tallow candles was mixing beef fat with fats of various origins. The statutes of tallow candlesticks clearly prohibited these practices. When a wealthy man wanted to make candles at home, the master had to come in person to do the work; if he sent one of his workmen, he was liable to a fine. Each master could have two peddlers to sell his goods on the street. The origin of the word “bougie” (candle in french) comes from “Bugaya” a city of Algeria in Kabylie maritime which supplied a large quantity of wax for the candle manufacture. The candle as we know it was made in the middle of the 19th century and differs from the taper because of its raw material and braided cotton wicks. The weave allows the wick to bend and burn slowly: no need to blow it. How does the candle burn? A candle is made of a block of wax or paraffin whose center is crossed by a cotton wick. When you light the candle, the overheated air melts the wax all around it. This melted wax rises along the wick by capillarity because the fluid wax tends to rise along the wick to near the flame.This fluid wax evaporates and then mixes with air and some of its molecules form a combustible gas. This one is burned by the flame, which makes it possible to feed it. In order for the flame to be maintained, the temperature of the burning medium must be sufficient. The flame is extinguished when one blows hard enough because the breath creates a current of cold air that cools the environment of the flame, the wax cooling faster than the heat of the flame warms it. The temperature then becomes lower than the combustion temperature and the flame goes out. It symbolizes the years passed on birthday cakes or serves as decoration for Christmas trees. It also creates intimacy at a candlelit dinner, at the restaurant or at home. rituals as the Christian paschal candle and they participate in lighting ceremonies. Catholic piety is also always using lit candles to accompany a prayer, especially when it is addressed to the Virgin Mary or to the saints: the gesture of burning a candle as a thank you continues very widely. Know a little bit more ! In 1783, the Swedish chemist Carl Scheele (1742-1786), as part of his research on soap, boiled olive oil with lead oxide and obtained a sweet-tasting substance that he had called Ölsüss and now known as glycerin. In 1823, the French chemist Michel-Eugène Chevreul (1786-1889), driven by this discovery, discovered that it is not the fatty substances that combine with the alkali to form the soap, but that they are first of all broken down into fatty acids and glycerin (or glycerol). Chevreul is thus at the origin of the theory of saponification. These two elements will be at the base of a massive industrialization of candles and soap. From now on, soap makers and waxers belong to the same corporation, of which Nantes becomes the capital. Even today, 80% of French candle production comes from the Nantes region. The appearance of solid paraffin (distillation of oil) and stearin (extract of animal and vegetable fat) now allows the production of candles of better quality. Once candles lit up dark places were of great value. That is why, in the middle-class houses, the house staff used to collect the remains of the candles, and sell them to a waxer for new ones. Seen by the rich, this recovery seemed petty, ridiculous and the corresponding economy insignificant, which is enough to explain the meaning of the french expression « économie de bout de chandelles » (candles remains economy), but also to understand why it has most of the time a connotation of mockery. The best known, if not the oldest, history referring to beeswax is the story of Icarus who used wax to saddle his wings and escape, with his father Dédale, from the labyrinth where Minos had locked them up. Unfortunately Icarus did not respect the instructions of his father and approached too near the sun, the wax melted, and Icarus fell down and died at sea.